Recently joined I mainly mtb, but have a road bike gathering dust. Dynatech Voyager Commuter 21" frame - Bent top bar, Suntour suspension forks (A-stem 1 1/8") , LX rear mech and changers and 8 speed wheels, LX V-brakes and levers, original campag front mech and chainset..........apologises at the time I did not realise that my "upgrades" were not authentic! Giant MTB Medium frame, XT changers, Hope 6ti and Hope Mini brakes. I brought my second hand road bike about 10 years ago it is Eddy Merckx with Campag Avanti 8 speed ergo's and 7 speed SACH's block, Shimano 600 chainset................I am just updating it so that I can ride it, now has Xenon Triple front & rear mech, Centaur triple chainset.......8 speed Campag Atlanta 96's on the way. I started cycling in 1985 onboard a steel Falcon. This thing weight about the same as a family hatchback but kickstarted my love for bikes that still endures. I suppose I would be describes as a "serious" cyclist(?). I train quite hard & race throughout the year. I'm also doing La Marmotte this year & L'Eroica too. I'm based in Doncaster & ride for Dinnington RC. This is great as one our sponsors is Universal Cycles...a retro emporium. Ribble Winter hack...heavy, dependable & usually dirty. Giant Anthem X2...off road rocketship. Gets crashed, raced & never misses a beat. Scott Addict R1...Dura Ace 7900, Zipps, light. The reason I'm here...1985 Raleigh/Panasonic. Reynolds 753, full Super Record. A truly lovely thing. The ride is sublime & if you have the legs suprisingly rapid. It gets used but never abused, even ridden it on the odd chaingang! I'll never sell it. Bike i wish I'd never sold...1994 Eddy Merckx. Columbus SLX in Telecom colours. It had an early Chorus ergo groupset & it looked stunning. I didn't have the cash to buy it outright so got the frame & added the other bits over the winter. Hello I have never managed to date to find a road bike that i feel at peace with but not through lack of trying! i still havent got a argon filled cabinet yet so i cant weld ti but it's on the cards. I only have 1 road bike left which is an original carbon softride with a steel 25" frame with ally forks but I am scared to death of riding it as it was rated for 210 lbs 20 years ago and I float around there depending on how hard and fast I ride. I recent years I have gone a bit single speed and do wonder why i ever needed more than 3 gears in the first place. I still have the dawes londoner( the only standard bike I own thats above 20lbs) ,DNA big bone the kona kilauea and two gt zascar's all with their flash bit's on them so mabye i will always be a mtb rider at heart. in the weird part of my garage i also have an 5 foot high ally tallbike an extracycle and a trice so there is infinate variety and i have to choose every day what i buzz of to the workshop on to teach others how to build and repair bikes. I found this site looking for more bits to build even more bikes that i really don't need but keep on trying to make my perfect steed. My name's Malcolm and I've just registered after lurking around here for a while. Having not owned a road bike for about 30+ years, I've picked up where I left off and have recently discovered the wonderful world of retro steel. 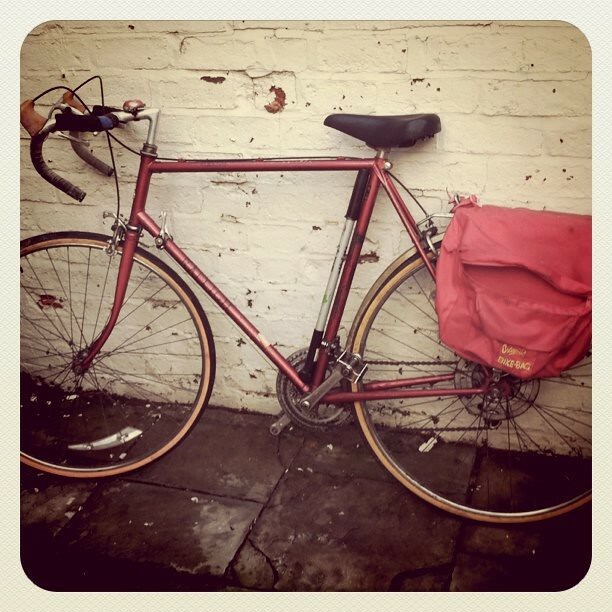 My modest road bike stable consists of an early 80s Saracen (pre mountain bike days) and a 1970s Nelsons Cycles machine (they were a LBS and framebuilder, but closed some years ago). Oh, and a rod braked Pashley Roadster. Just introduced myself on the mtb forum, but i also ride a late 70s Carlton Grand Prix. 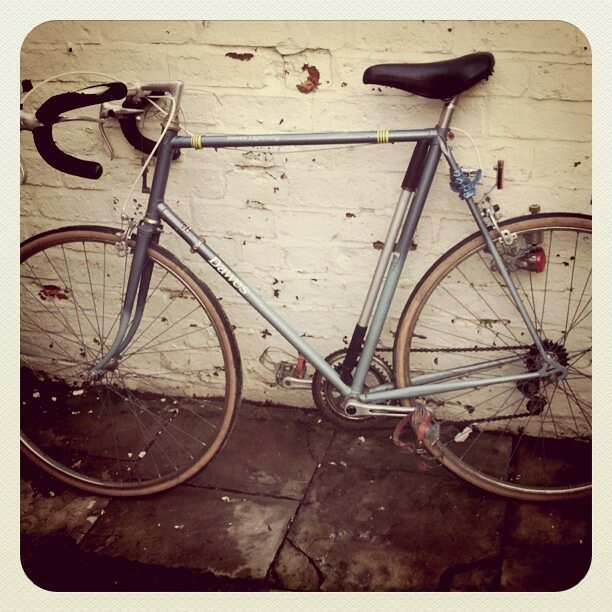 It's currently in single speed commuter guise, but i'm thinking maybe another retro road bike is needed for a project. I look forward to chatting to you guys, and maybe even doing some events. Just found forum and registered. After a long gap returned to cycling regularly, buying a very cheap mountain bike off ebay-spent a year riding that (and mending/replacing all the bits that broke) I decided that it would be fun to get a bike like I couldn't afford when young-so persuaded the wife that a vintage bike would be a great idea for Christmas-so acquired a Dawes Galaxy (Ebay again). Spent several months cleaning off the thick coat of icky oil a previous owner thought would be a good idea (requiring total disassembly) and rebuilding-now nearly finished. In the meantime, I visited a local charity shop and found a row of mountain bikes, and, hiding at the back, a Kalkhoff 10 speed (Coupe du Monde I think). On asking I was told "you can have that for a tenner!". I thought the shiny steel mudguards would look good on the Galaxy, so I paid up-and having ridden it, decided I would feel guilty taking it apart-so now there's two! I'm in Bristol (lots of hills) so I'm looking to move to something a bit more practical. I'm hoping to do a bit of a rebuild on a classic road frame, and I've posted a thread about a bike I'm going to look at tomorrow, I'd really appreciate it if some of the more experienced folk on here could have a look and give me some advice! Cheers, hope to be chatting to you all a bit more soon!